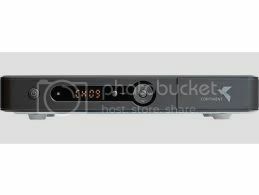 Continent CHD-04 IR HDTV Receiver , Continent Digital satellite receiver to view HDTV channel package Continent satellite TV Intelsat 15 (85 oz. E). Complete with a map of the continent TV – 1200 rubles for the bill! Presence of embedded HDMI and SPDIF interfaces allow to fully enjoy high quality picture (as in standard definition and in HD) and audio. The model is decorated in a similar style to the previous models of Coship is original budget solution. The front panel contains all the necessary elements for monitoring and maintaining the receiver buttons, buttons and LED indicators. In standby mode, the display shows the current time, which is determined automatically from the received stream of official data, the user only needs to correctly set the desired time zone. The IR receiver is designed for viewing TV programs encoded conditional access system Irdeto, and to view any non-encrypted TV programs (FTA). The receiver has a single built-in slot for smart card conditional access Irdeto. HDTV receiver is the most modern equipment and is able to receive the signal from the different types of modulation: QPSK and 8PSK in the standard DVB-S and DVB-S2, equally successfully decodes the signal is MPEG-4 and MPEG-2.